Starhub and blackberry were planning the launch of the new Z10 smartphone and they needed a gift with purchase (GWP) that would position Blackberry as fun and fashionable, changing the perception of the Blackberry as a serious corporate phone. 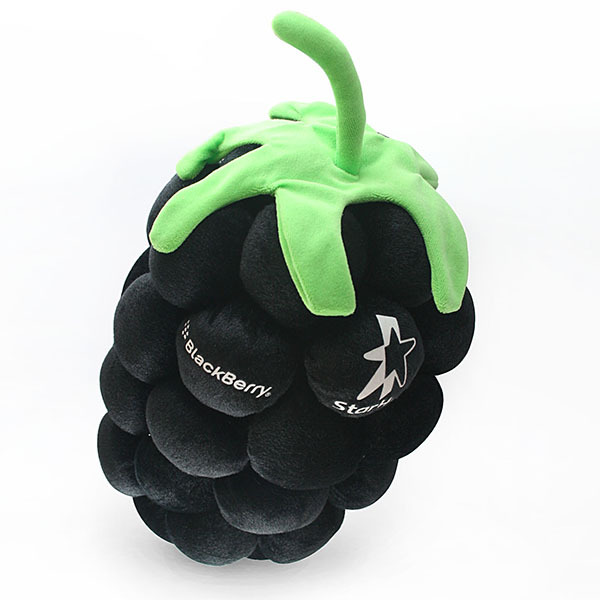 After a brainstorming in the office, we hit the jackpot with a custom made plush toy shaped like an actual blackberry. Our designer created the images, and then we oversaw the production process, delivering a fun and memorable corporate gift. The custom made plush Blackberry became an instant hit, especially amongst women (a target group that blackberry was aiming to reach.) – inviting the Blackberry brand into homes and bedrooms and became with women. Used during Starhub roadshows, these berries became an instant hit, they really softened the edge off blackberry’s reputation as corporate weapon. It now was a cuddly and squeezable soft berry. Mission accomplished.